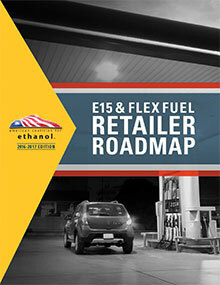 Under new EPA guidelines, E15 and flex fuel retailers are required to demonstrate compatibility of the UST system (including the tank, piping, containment sumps, pumping equipment, release detection equipment, spill equipment, and overfill equipment) before taking delivery of the new fuel. IMPORTANT NOTE: E15 and flex fuel compatibility requirements are NOT THE SAME. E85 and flex fuel requirements are much stricter (and more expensive) than E15 requirements. First, DON’T GUESS. Contact the petroleum equipment company that services the brand of dispensers used at your station. Chances are that company also did the UST work and may have records of what was installed. If you don’t know, don’t do it. Translation: Get all of this information IN WRITING and put it somewhere safe. Even if your equipment is 100% compatible, it’s not compatible until you’ve got paperwork that says it’s compatible.